Call 478-285-9395 to schedule your first appointment. If your hearing isn't what it used to be, stop by the Miracle-Ear® hearing aid center in Macon to see how we can serve you. While you might think you have to live with your hearing loss, this is rarely the case. You should know that most people benefit from hearing aids as around nine out of ten individuals with hearing loss can successfully use these products. We want to show you our hearing aids and deliver a solution that will suit your needs. As America's most recognized brand of hearing aids, we're confident in our services. We'll do everything we can to find the right unit for you, and it will all begin with a free hearing test*. We'll use the results of the test and your feedback to find a hearing aid that will compensate for your hearing loss and look and feel just the way you want it to. We'll also offer a risk free, 30-day trial** to ensure you're happy with your hearing aids. Even if you're skeptical about your chances of improved hearing, we'd love to show you what our hearing aids can do here at Miracle-Ear. Call us today to learn about how getting hearing aids in Macon, GA, could change your life. Sharon Kostedt, the Miracle-Ear Hearing Instrument Specialist in the Macon & Warner Robbins offices, joined Miracle Ear in 2000. When she isn't helping patients with their hearing needs, she enjoys relaxing with her family. 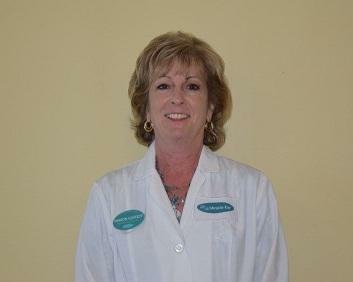 Sharon cares about every person and gives every patient the best care possible. Sharon is licensed in the State of Georgia as a Board Certified Hearing Aid Dispenser and has been certified by Miracle Ear as a Hearing Care Professional in the latest digital technology including the ClearVation and GENIUS platforms. She is also a registered member of the International Hearing Society in good standing. Patients from Macon, Warner Robbins, and the surrounding areas have greatly benefited from the expertise and care she and her staff provide.